Most of the inhabitants are ethnically Russian. Countries and their regions have a right to self-determination. Given the support that Kosovo and other countries received to break away, denying Crimeans that same right is a case of double standards. 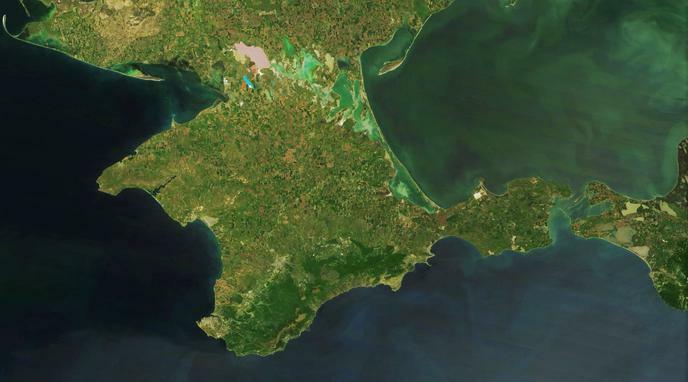 Crimea is closer culturally to Russia then the Ukraine. This is like saying it was alright for Hitler to invade and annex Poland, Czechoslovakia and Austria because they all were all German speaking or saying Britain should reclaim the commonwealth just because they share a British heritage. Not to mention Russia inserting troops into Crimea isn't exactly a show of self determination on Crimea's part and more of an annexation by Russia. Crimea is part of the Ukraine. Allowing Russia to take Crimea will initiate rite of conquest which will set an unhealthy precedent for other countries.